As from Mai 2018 Silvirom OU and Z/S IGAUŅI signed long term partnership agreement aiming to significantly improve truck service in Europe. Z/S IGAUŅI was established in 1993 in Saldus Municipality, Jaunauce County, but we have been dealing with cargo transportation since 2003. These 15 years of experience allow us to provide our customers always qualitative services, our employees are working with high sense of responsibility and professionalism to ensure that cargo of our customers is always delivered to the destination on time and without mistakes. 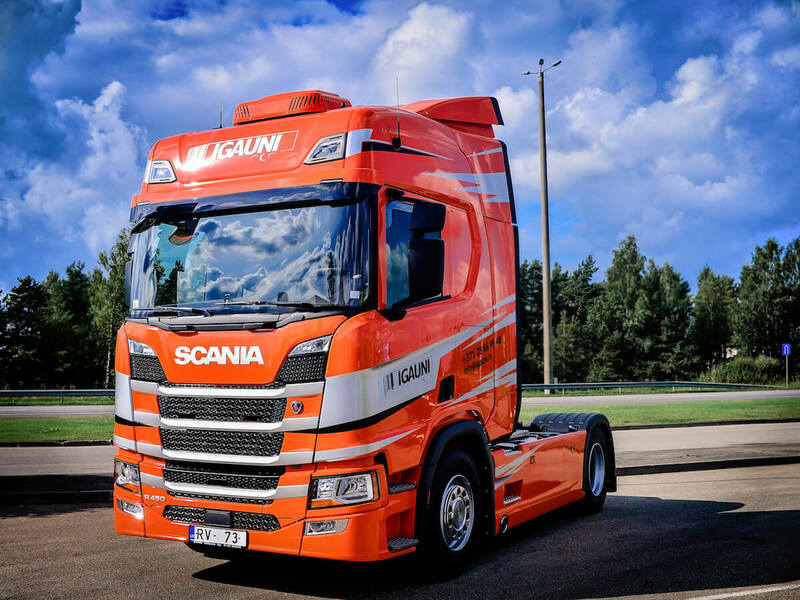 The truck fleet of IGAUŅI consists of Scania trucks of the latest generation, which are equipped with environmentally friendly motors meeting Euro 6 emission standards. We transport sea containers, consolidated and full cargo in tents, as well as veterinary cargo all over Europe and in CIS countries. Inland transportation of sea containers is one of main activities of our company. We have an extensive fleet which can handle transportation and delivery of sea containers of any size, type and weight ((20‘, 20’OT, 20‘RF, 20‘TC, 23`TC, 30‘, 30‘TC, 40‘DV, 40‘OT, 40‘HC, 40‘HCPW, 40‘CS, 40‘HCRF, 45‘, 45‘CS, 45‘RF and other). In addition to cargo transportation our employees will also prepare all necessary customs documents, permissions, declarations and licences (Carnet TIR, transit declarations, EX A, CO A, T2L and other). 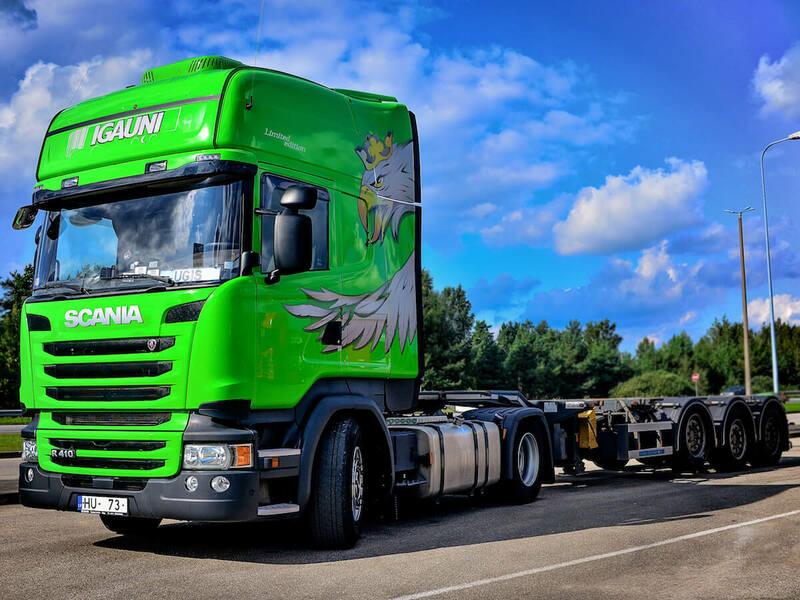 Unlike other cargo transporters, IGAUŅI offers its customers the possibility to use faster cargo transportation services. Express cargo transportation means that one truck carrying cargo in a sea container or a tent has two drivers instead of one allowing to deliver the cargo to the destination twice faster. 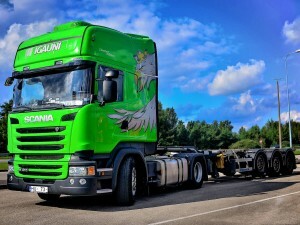 Consolidated and full cargo is mainly carried to and from Italy, Spain, France and Portugal, as well as other countries of the European Union. Our company ships standard general goods (general/harmless goods), which are transported on European (EPAL) and Finnish pallets, and tents with dangerous (ADR) goods and containers with veterinary goods.